Can You Fix a Cactus That Has Broken? Cacti are slow-growing succulent plants with well-developed vascular systems, or systems that transport food and water through the system. Thanks to this system, if a piece breaks off the cactus, there are several options to salvage it, whether it is grafting or planting the piece as a new specimen. Broken off sections of cactus may be planted for a new cactus plant. Broken pieces often have jagged edges and damaged tissues, so if you were to simply put the broken piece back onto the cactus and bind it in place, chances for success are low. If the wounded end on the broken piece and the stub were cut evenly with a sharp knife and you bind the broken piece into place on the stub, the chances of the cactus healing are much greater. This is because of the ease of grafting cactus plants and the very high probability of cacti of the same species grafting successfully. Alternately, you may graft the broken piece onto another cactus, preferably of the same species. You can also plant broken pieces to create new cacti. It is best, however, to let the broken piece scab over for a few days in a warm, dry area with good circulation to prevent problems with fungal disease entering along the broken edge. Alternately, you may dip the broken edge in an anti-fungal sulfur solution. If the piece broke off because of disease or infection of the main plant, remove the diseased parts with a sharp, disinfected knife first, or the disease will claim the broken piece as well. Grafting leaves scars. This isn't a big problem if you have a sectioned cactus and it was a whole section that broke off. For many cacti, however, a broken section grafted back into place looks wounded, even if the graft heals. It may be better to trim the stub back to a section further down or closer to the main section of the cactus, depending on the type of cactus, and then re-attach the broken piece. 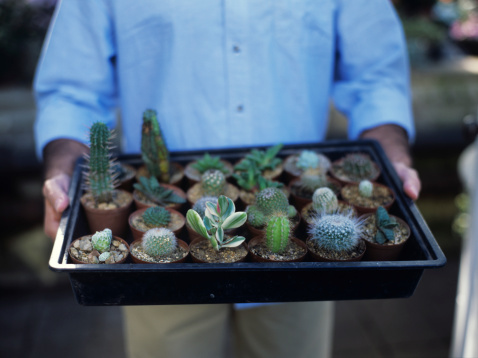 If you will plant the broken piece for a new cactus or simply dispose of it altogether, it helps to trim the cactus, if possible, to remove jagged edges or odd-looking stumps. 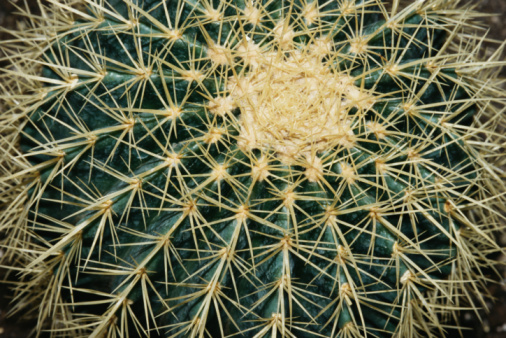 If the break is next to or on the base of the cactus, it is usually easier to simply allow the broken cactus piece to scab over and then re-plant it rather than try to get a graft to take. The wound is susceptible to fungal infection, especially if the soil is moist or comes into contact with the grafting joint.